Hardcover, 9.5 x 12 in. / 240 pgs / 300 color. Text by Isaac Julien, Giuliana Bruno, Paul Gilroy, Stuart Hall, bell hooks, Kobena Mercer, Laura Mulvey, Mark Nash, B. Ruby Rich, Christine Van Assche. 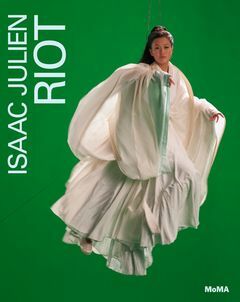 Riot is an intellectual biography of artist and filmmaker Isaac Julien (born 1960), looking at key moments in his career and discussing the influences that shaped them. 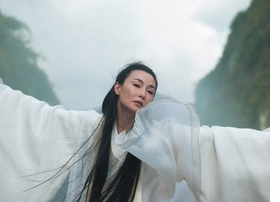 Julien’s trail-blazing career has moved across film and art, documentary, biography, narrative film and multi-screen installation, and has drawn on influences as disparate as silent cinema, cultural studies, Chinese myth and pirate radio culture. Riot is the first career-long overview on Julien, situating his work in the context of his personal and intellectual development: the friendships, mentors, night clubs, films, politics, records and the artworks that informed his practice. The backdrop to Julien’s own story is a collage of some of the most important political and cultural events of the past 30 years: Thatcherism and the rise of neo-liberalism, the AIDS epidemic, punk rock, social riots, the globalization of the art market and the movement of filmmakers into the gallery. FORMAT: Hbk, 9.5 x 12 in. / 240 pgs / 300 color.